The development of endurance and strength is the foundation of any training program. This applies to recreational as well as elite athletes. Whatever sport we enjoy, the more we increase our endurance and strength during the base period, the better platform we will have for our overall training—especially for the intensity and speeds we would like to accomplish in the upcoming training periods. This will lead to more success when we compete. Therefore, base endurance and strength—as long as you develop both properly—create the foundation you can always build on! They give us confidence and ensure stability for the further training process—a prerequisite for good results for recreational as well as elite athletes. Of course, how much endurance and strength you need vary depending on the sport and your goals, and your abilities. For runners—including triathletes, middle-distance and ultra-runners—there are several ways to develop base endurance and strength. Among the favorites are distance runs in hilly terrain, uphill running programs, cross-country skiing, and deep-water running. One quickly becomes accustomed to endurance training, which strengthens the heart muscle and improves the capillarization and blood circulation of the muscle—gains that increase the capacity to absorb oxygen. In the winter months, many athletes are in this phase of preparation when mileage build-up has priority over intensity. There is a reason for the saying: “An athlete is made in winter.” In the cold months, we create the base on which the subsequent specific, more intensive training is built. Those who want to be fit for the competitions in spring and summer are now laying the ground work. Do not skip or neglect this important phase. The more thoroughly these basic fitness levels have been developed—and your muscles better prepared—the more successful your subsequent intensive training. You also reduce the risk of injuries. And you will experience more joy as you achieve your goals, which in return can give you the inspiration for further sporting adventures. Running cross-country is one of the most effective ways to develop base and strength endurance. This is your aerobic endurance. Run medium to long distances at moderate to faster pace at 75 up to 85% of your maximum heart rate in hilly terrain—preferably rolling hills —and look for challenging and varied courses. Longer, easier runs will be effective at 60 to 75% of your maximum heart rate. Another focus is on uphill running. Plan a challenging program once a week, concentrating on short distances of 100 to 300 yards. 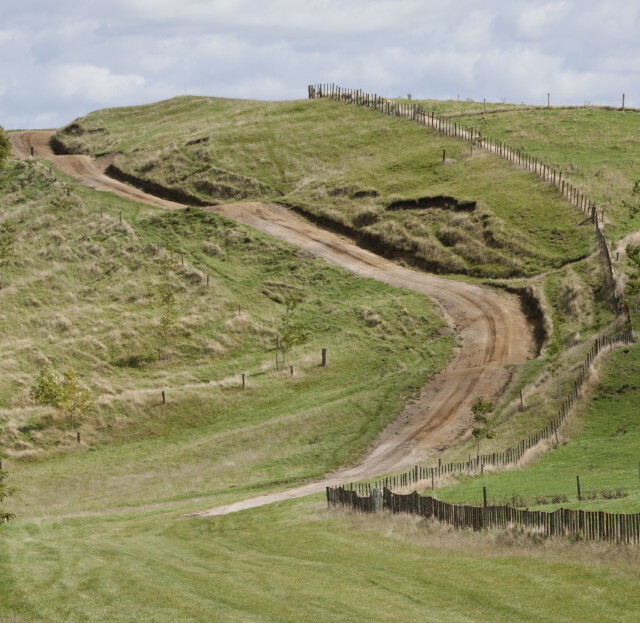 The hill you choose should not be too steep, so you are able to maintain a smooth running rhythm. If you can include cross-country skiing in your fitness routine, you not only experience a great mental change, you also strengthen the specific running muscles quite effectively. Classic style cross-country skiing is very close to natural running, and is also easier on the joints. In addition, it strengthens more muscle groups than running. Abs, back, arms, chest and shoulders are more worked. Cross-country skiing strengthens body and mind and is ideal for a long workout. Another possibility, if you have no access to snow, try roller skiing. This fun activity is an off-snow equivalent to cross-country skiing where the skis have wheels at either end and you “ski” on a hard surface. I enjoyed it as it helped me to be mentally prepared for my long runs. On permitted, suitable well-paved roads, shoulders or bike lanes, you can cover great distances at low intensity, which develops strength-endurance. This gives you a solid foundation for the later running training. Incidentally, cross-country skiing and roller skiing were often part of my race preparations. 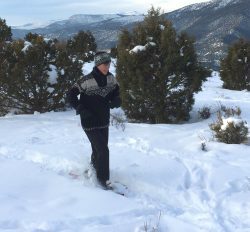 In addition to the development of the desired abilities, the variety and, above all, the pleasure of exercising on a snow covered landscape gave me additional mental strength—and proved a scenic and effective way to get fit. Should icy and slippery conditions prevent your planned outdoor activities, deep-water running in your local swimming pool can be used for base endurance development as well. And due to the water resistance you will strengthen your running muscles. It is great fun to vary pace and stride. You will sweat a lot while also improving your cardiovascular system. A flotation device or belt will make training easier, as they provide additional lift. Strength training and stabilization are effective additions: They contribute to the development and maintenance of a good running technique and thus performance. They also help you to stay injury-free. Just a few exercises two to three times a week are enough to bring the necessary stability of our core (midsection) to a good level. The exercises can ideally be completed after short, easy runs or in combination with light weight training—or as a separate training session. If you do not yet have a specific plan and are unfamiliar with the related exercises, you can get advice from other athletes, a coach, in a gym or on-line. The base period is an important part of the entire training process; it is the first period immediately after the recovery phase following your competition—usually 6 to 8 weeks long. Enjoy this time with lower-intensity training and easy running without thinking about time and speed as you explore cross-country trails, ski lanes, the glitter of the snow or the visit to a swimming pool. Work your way up to more demanding workouts—step by step. The focus is to create stable foundations for yourself before moving on to the next, more intense training phase. Come spring and summer you will look back thankfully on the fun winter workouts that prepared you so well for the more intense workouts which eventually get you ready and sharp for your competitions. Adapted from my column “Die besten Wege, Grundlagenausdauer und Kraft zu entwickeln” in “DIE WELT” with permission.